Old Donation School, completed in 2017, replaces facilities for three "gifted learner” programs operated by VBCPS. The $63 million, 225,000-square-foot facility uses "circulation space” as "learning space,” with small collaboration rooms in between classrooms called "think tanks” for smaller independent groups. Outdoor classrooms also provide learning spaces. The school is designed to achieve LEED Gold certification, with advanced HVAC systems, LED lighting, extensive daylighting, collecting rainwater to flush toilets, and other "green” design elements. "Students and staff asked for colorful, wide-open spaces and lots of daylight, so that’s what we gave them,” says Rob Berz, RRMM’s design architect for the school. In the spring of 2017, "Wind was the biggest issue,” Fletcher says. "It was an open area, and unusually windy.” This put the crew to the test in ensuring consistency in the pours. 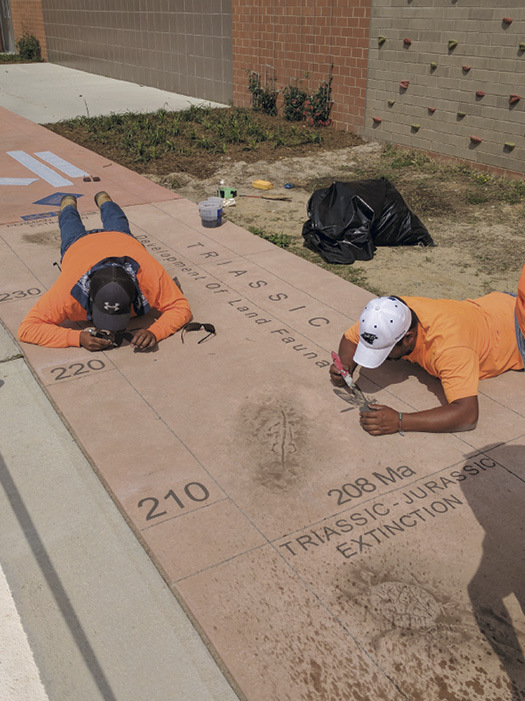 The fossil templates from Surface Gel Tek were "sticky” self-adhesive elements attached to the hardened concrete. Here, acid gel was used to etch the surface prior to a secondary coloring process using Bomanite Micro-Top. 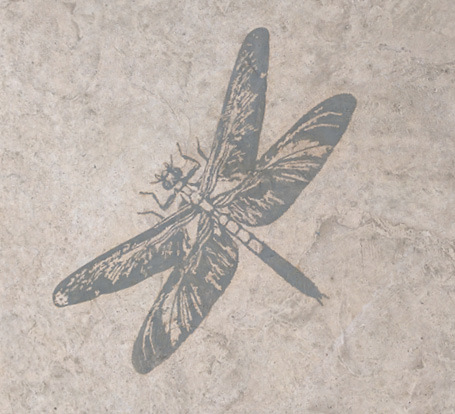 To create the intended image, the template is "weeded” before it’s placed on the surface – meaning parts of the template are removed to expose areas of the concrete that will be acid-etched for color contrast, or etched and colored using products such as dyes, stains or acrylics for more dramatic coloring. Areas that remain covered by the template aren’t etched and colored. 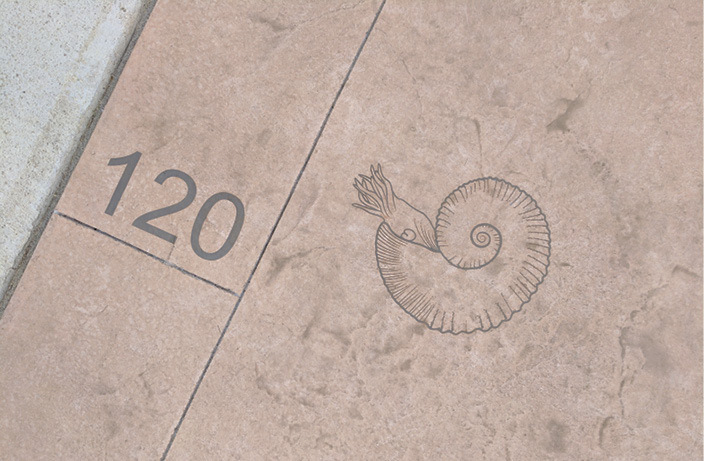 The acid etching opens up the concrete’s pores, allowing the color to penetrate and permanently color the concrete. "It’s very much like tattooing,” Doolan says. Acetone dyes are typically applied without prior acid etching, as the acetone penetrates the concrete on its own. "What we’ve gotten better at is designing the school to also serve as a teaching tool,” Cole says. 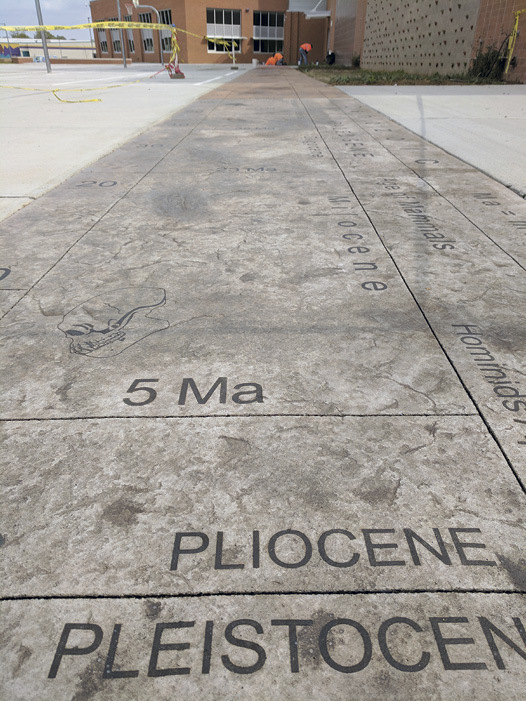 Old Donation’s atrium floor — a terrazzo installation — is a scale replica of the Chesapeake Bay watershed, depicting the region’s geography and ecology and serving to illustrate the challenges the low-lying region faces from pollution, surging storm water and rising sea levels.